The registration of a domain name itself costs Rs. 600 ($12) per year. But this is included in our package free of cost. You can choose a domain name that includes your company name (like www.yourcompany.com) or describes your specialty (like www.yourproduct.com) Click here to see if it is available.If you want to discontinue our services and want to transfer the domain name, you have to pay (Rs. 1500/-) as transfer fee. As long as you are with us, annual domain renewal is free of cost. Yes. We offer most affordable website design service. You have to select from one of the elegant predesigned website templates - means these designs are ready for you to select. Each template includes 5 pages. you can have pages like - Homepage, About us page, Services or products page, Contact page and one more page where yo can put anything you want. If you want more pages, please see our pricing page. We guarantee quality website hosting for all our clients with 99.9% uptime. We also undertake website maintenance jobs on annual contract basis if you have your website up and running. The best way to demonstrate our expertise is to show you our work. Advance Web Design, an affordable web design company was set up by Anwar Hashmi in early 2008 with an ambition to offer cost effective and affordable website designing service to small businesses. Having learnt and specialise in html, php, bootstrap,photoshop,MySQL he is designing websites for small institutions, artists and small business for nearly 5 years. If you are looking for high quality graphic design and web design company in wardha, India, then you have come to right place. Advance Web Design is a low cost, quality website design and website development company. 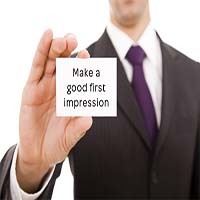 Do you know how important the "first impression" really is? Your website is your first impression on the Internet, so make sure it's a good one. More people are using the internet to find the information they need above any other method. 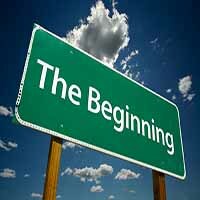 In today's fast-paced technological world, often times the internet is your first impression - period! 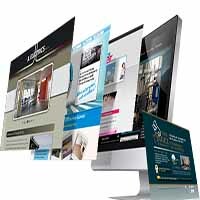 No matter what it is you are selling, promoting, or wanting to put on the internet, Advance Web Design is the affordable website design solution for you. So give us a try to design your website and we will prove ourselves. We charge Rs. 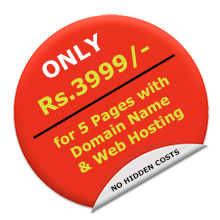 3999/- as initial charges (1st year) for a website with designing of 5 pages which includes domain name registration, Linux hosting (1 GB space with 5GB bandwidth per month) and 5 Email IDs (yourname@yourdomain.com). Also you will get your own hosting control panel from which you can monitor your site traffic statistics, bandwidth etc. You have to pay Rs. 2500/- every year to keep it going. It will include hosting and domain name renewal. Site updating will cost extra. There will be 5 pages in your website template. Home, About us, Products or Service page which can consists of images, Contact page and one more page - the content and title of which can be changed as per your interest. You have to choose from our pre designed templates for your website. If you want custom design, charges will be as per design. For custom website design, a price estimate will be given on approval of design. A 50% advance is required before the domain registration or before the work begins. Rs. 200/- per update per page. Updates do not include major functionality and presentation changes. Read Terms of service. Extra Email account Rs. 300/- for 1 account per year. Logo design Rs. 3500/- 4 design options will be shown. Custom web design As per work involved. A price estimate will be given on approval of design. A 50% deposit is required before work can begin. Discontinuation of service If you want to discontinue our services and want to transfer the domain name, you have to pay Rs. 1500/- as transfer fee. As long as you are with us, annual domain renewal is free of cost. © 2016, made with favorite by Anwar Hashmi. 1. Advance Web Design will use reasonable endeavours to ensure a prompt and continuing service as described in the specification ("the Service") but will not be liable for any loss of data resulting from delays, non-deliveries, or service interruptions caused by circumstances beyond the direct control of Advance Web Design, or by errors or omissions of the Customer. Advance Web Design specifically excludes any condition of warranty as to the accuracy of third party information received through the Service. 2. Advance Web Design will not be held liable for indirect, economic or consequential loss whatsoever. 3. The liability of Advance Web Design in contract or in connection with the supply of the Service shall be limited in respect of any one event or a series of two or more connected events to the value of the domain name(s). 4. Breach of Terms and Conditions by customers shall lead to termination of Service with no entitlement to refund. 5. All fees paid are non-refundable and once registered, domain names cannot be changed in their name or extension without the costs due in the registration of a new name with the appropriate registry costs. 1. The contract period shall be for the whole term of fees paid by the Customer from the date of registration of domain name until the date of expiry of the domain name, usually one year from the date of ordering a product or work commencing and / or domain being registered unless otherwise agreed by Advance Web Design. 14 days notice of cancellation must be received in writing of email, prior to the yearly renewal date of the product or package. 2. Advance Web Design may elect to suspend or terminate the Service immediately on any default of payment by the Customer. 3. From time to time parts of the Advance Web Design network may be taken off-line for repair or routine maintenance. Advance Web Design will endeavour to give as much notice as possible but will not be held liable for any unscheduled downfall in the Network due to extraneous conditions including but not limited to Act of God, inclement weather, act of telephone or Governmental organisations or power failure. Yearly renewal date of the product or package between you and Advance Web Design is priced as Indian Rs. 2500/- . Annual renewal fee's are one year from the date of ordering a product with Advance Web Design, or work commencing and / or domain being registered, unless otherwise agreed by Advance Web Design. 1. The Customer shall acknowledge that he / she will only use the Service for lawful purposes. The Customer shall not use the Service to receive or transmit material which is in violation of any law or regulation, which is obscene, threatening, menacing, offensive, and defamatory, in breach of confidence, in breach of any intellectual property (including any trade mark or Copyright). This extends to violations due to any spamming and or bulk email activity for which Advance Web Design can and will follow up in the Courts of Law. 2. The Customer shall take reasonable precaution to prevent the reception and transmission of viruses to Advance Web Design and beyond and shall not attempt any intentional and malicious damage to the Advance Web Design Network or use the Service to affect other computers. 4. The Customer will notify Advance Web Design immediately by telephone or e-mail in any event of a username or password becoming known to a third party. 5. The Customer hereby indemnifies Advance Web Design or its trading concerns against any action taken by a third party resulting from the Customer's use of the Service. 6. The Customer shall notify Advance Web Design of any action taken against them by a third party and will not hold Advance Web Design liable for any resulting costs. 8. The Customer acknowledges that Advance Web Design cannot exercise control over the content of information passed across the Internet and via the Service. 1. The Customer agrees not to re-assign, re-sell, sub-lease or transfer their account in any way, shape or form without the proper procedures being followed as required by the appropriate domain name registry. Contravention shall lead to immediate termination of the Service to the Customer by Advance Web Design. 1. The Customer has the right to withdraw from or cancel their Service Agreement with Advance Web Design within the first 72 hours of any new agreement in writing via email or recorded post only. Any domain transfers should be made in writing via email only and no refunds will be due for domain registrations. 2. Domain transfer requests - provided all details are correct and procedures followed by the customer - should be carried out by Advance Web Design within 24 hours of receiving the customer's email assuming also all outstanding invoices / balances have been settled by the customer with Advance Web Design. In the event of a customer wishing to transfer the domain name, services, products or IPS tag relating to their domain name to another hosting Service Provider, a transfer charge of 1500/- will become payable. 1. Advance Web Design will register a domain on behalf of an individual and / or company on a per domain basis and the individual or company is granted exclusive use of this domain so long as all fees are paid and the balance of any accounts are kept up to date. 2. By registering a name you agree to keep Advance Web Design and its associated companies and its Directors fully and effectively indemnified at all times against action brought about by any person, persons or company against you in using the name. You will assume liability and costs for any such action and release Advance Web Design and its associated companies should any such situation arise. 3. Any registered domain can be used for any legal, decent and honest use on the Internet and must not breach any Indian laws. The name cannot be used for any immoral or pornographic use. The registrant agrees to have read and accepted the terms and conditions of the appropriate domain registry before ordering a domain name for registration by Advance Web Design. 4. Advance Web Design shall not be liable for indirect, incidental or consequential damages, including loss of income, data, or information in any event by use of the Service. 5. Advance Web Design reserves the right not to register or assign any domain name for whatever reason. 6. Advance Web Design reserves the right to delete or suspend any domain name if payments have been defaulted upon and may at its discretion levy admin charges in re-establishing any domain or service thereof. 7. Advance Web Design reserves the right to vary the rate charged for domain name registrations and renewals and / or modify the services offered providing at least 15 days notice via its website of any cost or service changes. 1. Advance Web Design reserves the right to do normal system housekeeping such as creating back-ups AND do not accept responsibility for ensuring back up works though - your data security is your own problem. 2. If Advance Web Design suspects Illegal Activity, we may notify the authorities and reserve the right to do anything on the system which our lawyers advises us to do in the protection of the system. 3. This Agreement is governed by the laws of India, and you consent to the exclusive jurisdiction and venue of the Wardha Court in all disputes arising out of or relating to your use of the Advance Web Design service. 4. You acknowledge that no joint venture, partnership, employment, or agency relationship exists between you and Advance Web Design as a result of your use of Advance Web Design. You agree not to hold yourself out as a representative, agent or employee of Advance Web Design. You agree that Advance Web Design will not be liable by reason of any representation, act or omission to act by you. 5. Each respective Registry (i.e. Nominet, InterNic etc) will notify the legal registrant of the disputed domain(s) of their position and liaise with all parties in dispute as determined by their respective terms and conditions of service provision. Advance Web Design cannot enter into any direct involvement with the resolution of any dispute other than inform and relay to its client any information supplied by the appropriate Registry as we have no ultimate control over of any domain assigned by any Registry. As part of the agreement, Advance Web Design clients can request paid alterations to the site in the following form: Switching or deleting, or adding one image or Switching or deleting, or adding one portion of text (up to 500 characters) . Any additional changes performed by Advance Web Design will follow the pricing guidelines set forth on this website. Advance Web Design will make every effort to have your updated information online within 4 business days. On every website Advance Web Design creates, there will be branding and / or a link back to http://www.awd99.in placed in the footer of the website unles otherwise agreed to between you and Advance Web Design. You must not remove Advance Web Design branding and / or a link back to http://www.awd99.in from your website unless agreed with by Advance Web Design. Websites are not intended to be static; you need to make changes in them from time to time to reflect new products or new developments in your business. 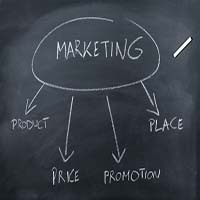 Also putting new content or information on the web site always attracts visitors and search engines.